owned by DST, so that means a demolition. Is the building right next to it also being demolished? One of those building looks like a parking garage with street level retail. So why wasn't there any retail in there? Why would you knock something that expensive to build down? Why isn't it currently being used for parking? I'm assuming it's structurally unsound. They could be trying to put together a larger parcel to sell the land as development ready. These buildings were mentioned in this article from May. Kerr said land in the area is now worth about twice that. 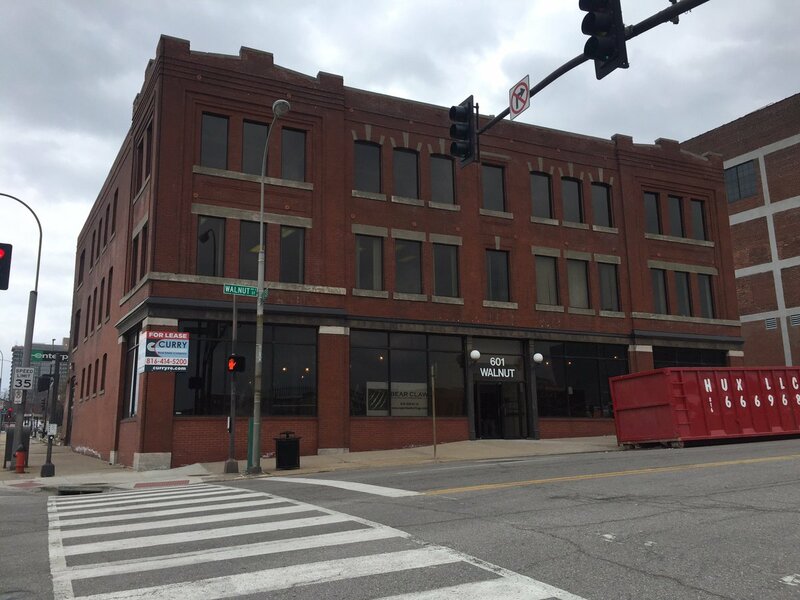 That includes a vacant site immediately south of the historic Power & Light Building at 14th Street and Baltimore. In 2009, developer Ron Jury proposed a 36-story hotel tower on that site as part of a convention hotel proposal that would have incorporated the 31-story Power & Light Building. That proposal died during the recession, and Kerr's son, DTZ broker Gib Kerr, now is marketing the site west of the Power & Light Building for $100 a foot. Whitney Kerr Sr. said a large hotel could still be developed on that site. There was some interesting metal work on the garage at 14th and Wyandotte. They took that down a few months ago. At least they are salvaging the good stuff. I went on a late afternoon walk today and continue to be amazed at the pace of development downtown. In my fairly short walk I counted 11 buildings or sites that have various developments in the works. Some of these are more exciting than others, but either way, it would be hard to deny the positive momentum that downtown KC has been gaining over the last decade. And much of this walk was through the north loop. Sometimes I think it is hard to realize we are living through a golden age, but I think we will be able to look back at this time in the future and see the beginnings of KC's resurgence. ...and add old fed, pickwick, argyle, interstate, and possibly KCPS HQ and trader's on grand to the list! mgh7676 wrote: FWIW, I noticed a few men in hard hats coming in and out of the building owned by the Church of Scientology at 18th and Grand this morning. It is probably nothing, and there have been no permits issued, but am hopeful that the church is looking to sell or reno the building. Maybe now they will be inclined to sell! edit: did you notice that's a fake news site? I almost didn't catch that myself. assholes! probably need to disinfect myself. clockwork is usually a good sign. It looks like a 2-story building when you are on the 10th Street side, but it does have 3-stories. Last edited by pash on Tue Feb 14, 2017 5:01 pm, edited 1 time in total.